We’re an Irish-owned family run business, based in Dublin since 1996. 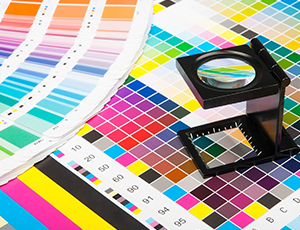 We offer a full range of print services including concept and design, personalised printing, digital and litho print. Print is a constantly evolving business and our services are constantly developing to give the best design and print possible. Our business is making sure your business stands out. Our customers come in all shapes and sizes, from individuals and small businesses up to large multi-national corporations. Every customer is important to us and we guide them through every stage of the print process. Our staff are experienced in the production of a massively varied range of work. Docket books, letter headings, NCR sets, brochures, booklets, annual reports and brochures. Mc Donald’s chip cartons, Masterfoods world pet food day corrugated cases, credit union pay in slips. We have produced one off jobs and presentations for clients in Ireland, UK, Mainland Europe and USA. Passports, driving licences, money orders, stamps, junior/leaving certificate exam papers. Impression has been trusted with the quality control of the most expensive and quality critical print job in Ireland – the census forms. We have overseen the print operation from start to finish. We have huge experience in printing a wide range of commercial work. If it’s a docket books, business cards or brochures, contact us and we will supply supply you with quality goods at a competitive price. We offer the same level of advice, service, quality and value for money to all our customers and treat them with the consideration and respect they deserve. Contact us today.We cater for all size companies and budgets.Advice and print audits are free.